I could not have even semi-presentable second day hair without dry shampoo, but as a brunette it can be a little trickier to use. You get a little heavy handed and suddenly you have some unintended white highlights. Even when you’re really careful you can end up with white flakiness throughout the day that shows up big time on darker hair. 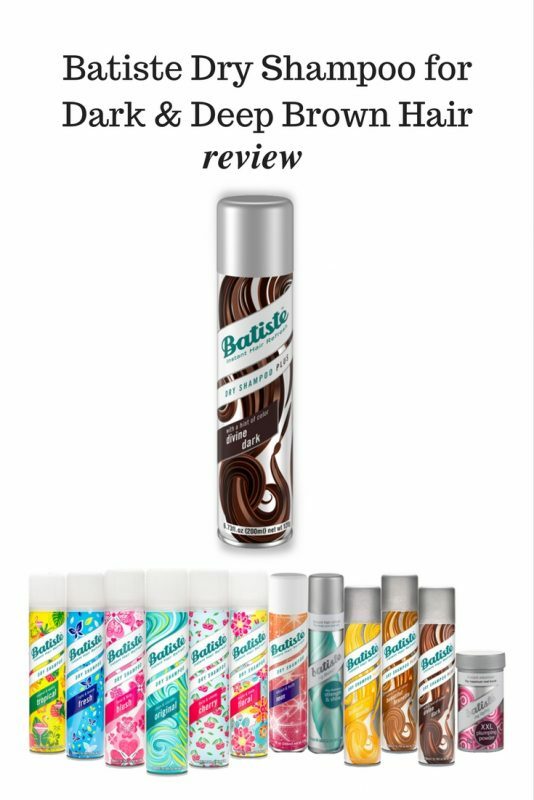 So I’ve obviously been really eager to try Batiste’s Dry Shampoo for Dark & Deep Brown hair, and was happy to see it pop up at Target. I’ve used it for several weeks now so on to the pros and cons list! No white stuff! Matched my hair color perfectly. Gets on face if you’re not really careful. Thankfully it wipes off pretty easily. Could possibly get on clothes, I did not have this problem but I wouldn’t spray this with a white shirt on. And definitely not with a wedding dress!!! I had a hard time making a call on this one. I thought it looked really good in my hair but there is definitely some extra hassle involved. You can’t just spray it all over the place or you’ll look like you went crazy with the bronzer that day. Also until it completely dries into the hair you can have some problems. I had an embarrassing incident where I shoved my sunglasses up on my head and later when I had taken them off again I had brown circles around my eyes. I think this might be easier for brunettes with shorter hair who don’t have as much risk of it getting all over stuff. However, the longer I have used it the better I get at preventing the color getting on things. I think I’m willing to deal with the minor inconveniences to have a dry shampoo that matches my hair so well. If you don’t want the bother of dealing with a tinted dry shampoo, Batiste’s regular Clean & Classic Dry Shampoo does a pretty good job of not leaving much residue on dark hair as long as you follow the directions. 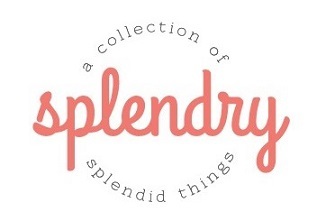 As someone who adores dry shampoo, I’ve never tried this brand but am definitely going to check it out!